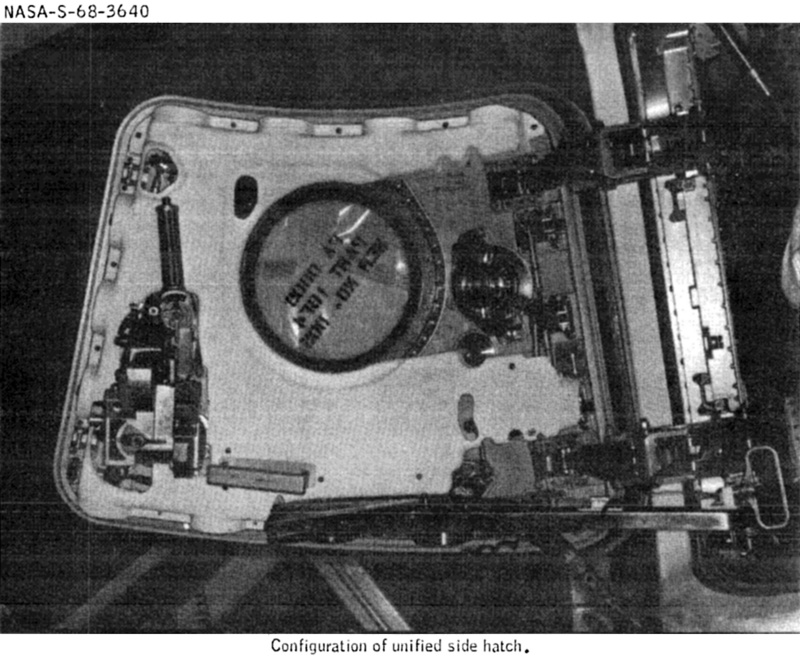 Apollo 6 was the first Apollo spacecraft flown with a "unified" crew hatch (i.e., a hatch incorporating the heat shield and crew compartment hatches into a single hatch); Apollo 4 still had separate heat shield and crew compartment hatches. 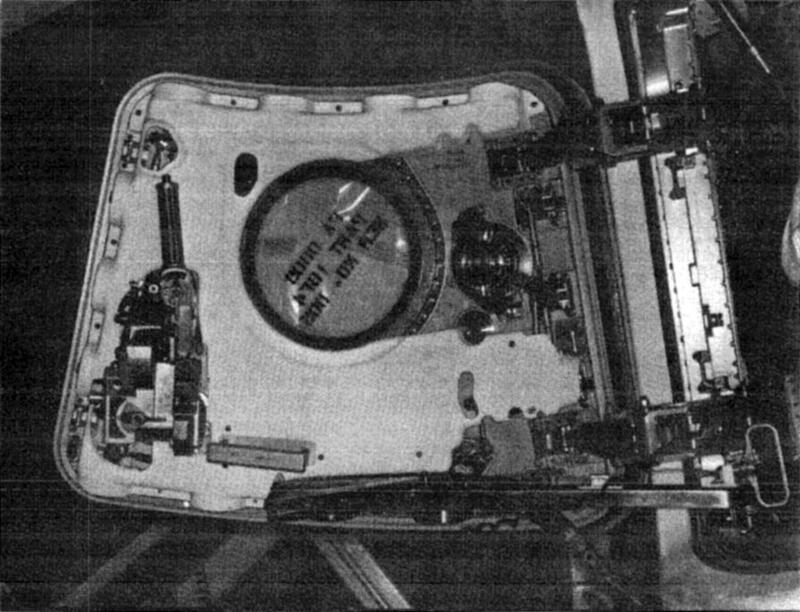 Here's a picture of the Apollo 6 hatch during its post-recovery inspection; it appears to be a standard Block II hatch, perhaps with some sort of covering over the inside of the hatch hiding (among other things) the latches (compare with, e.g., the Apollo 11 hatch at the National Air & Space Museum). Click image for a 1689x1392 pixel version of this image in a new window. The scan quality of the Mission Report is rather poor, and I can't find S-68-3640 anywhere else on the Internet. If you know where I can obtain a better picture, please contact me.